The problem with this round is that both coins are POS only at this point, so if you didn't mine these coins back in the POW phase you have nothing to turn in. I suggest for future rounds that you never have both POS. One POW and one POS, maybe? AllCrypt is a good exchange thx. No buy order at all on all 4 exchanges. Why ? Is it still possible to trade DB for CCB? Do you guys have a IRC channel or something with live connection? active developer, good idea, may be this coin have a future. Then you plan to hit big exhange? After all swap rounds? I am interested in swapping CCX / CCB and would like to make my wallet on the same blockchain. So, may I ask the list of peer nodes that your CCX wallet/daemon is currently connecting to? And also the IP of your CCX wallet/daemon? I hope your wallet/daemon accepts incoming connections such that I can sync your blockchain to make the transaction. As a matter of fact the growth of CryptoClub requires funding. That's why we decided to ask the support of the community. Large amount of coins will be distributed in return. Are you ready to invest ? 0.04429795 BTC received so far ($16.92). 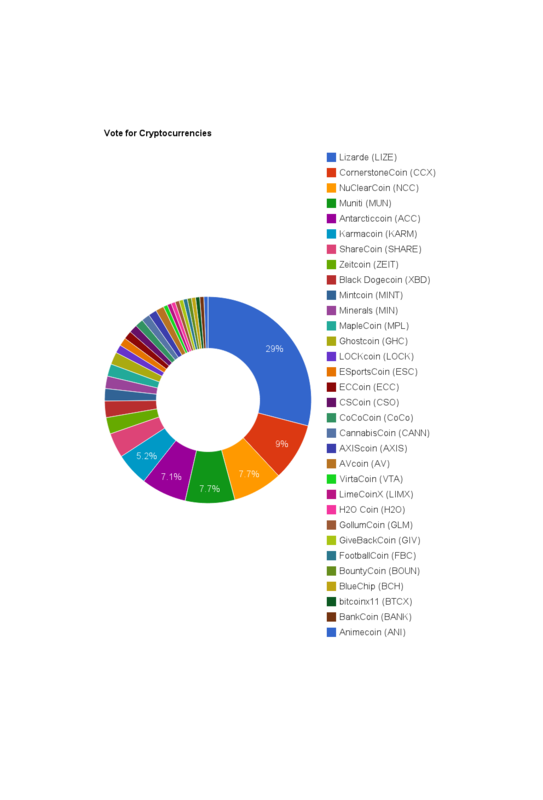 We use a secure 3rd party to hold these coins (VirWox). So we won't loose any of them because of hardware failure or anything. If subscription reaches 1/5/10 BTC, 10/50/100M CCB will be distributed proportionately. We can't predict what would be the rate on C-CEX. So we don't know what such compensation would represent. Feel free to ask us to refund you until we reach 1 BTC. No help with the project, for poor management.